Saartje Baartman (c.1788-1815/16) was a black South African woman who became known as the Hottentot Venus when she was exhibited in London and Paris because of her protruding buttocks. This book examines two very different types of representations of Baartman. The first chapter looks critically at images that were produced during Baartman's lifetime, focusing primarily on cartoons and ethnographic drawings. The representational strategies used in these images are compared to those used in eighteenth-century representations of female slaves.In later chapters the author discusses the contemporary black artists who are producing art inspired by Baartman in order to problematize the racist and sexist assumptions that are still being made about black women today. 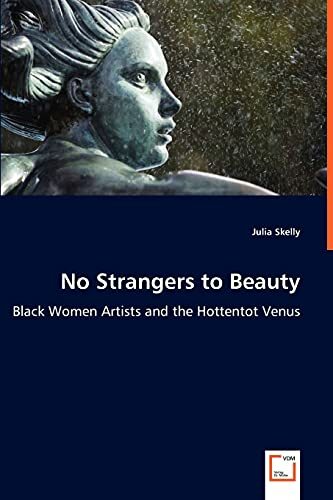 Some of these artists have represented Baartman with their own bodies, while others have chosen to avoid representing her body entirely.The book's methodological approach is informed by important research done by white feminist art historians, as well as that by black feminist theorists and post-colonial scholars concerned with the visual culture of slavery and racist stereotypes.